Some times, I am lazy. Other times, I just focus on one subject and leave all other things behind. Both of these cases give birth to the third case when I forget that I’d ever started anything. So, today, we are not going to the Museum (as promised in last episode). 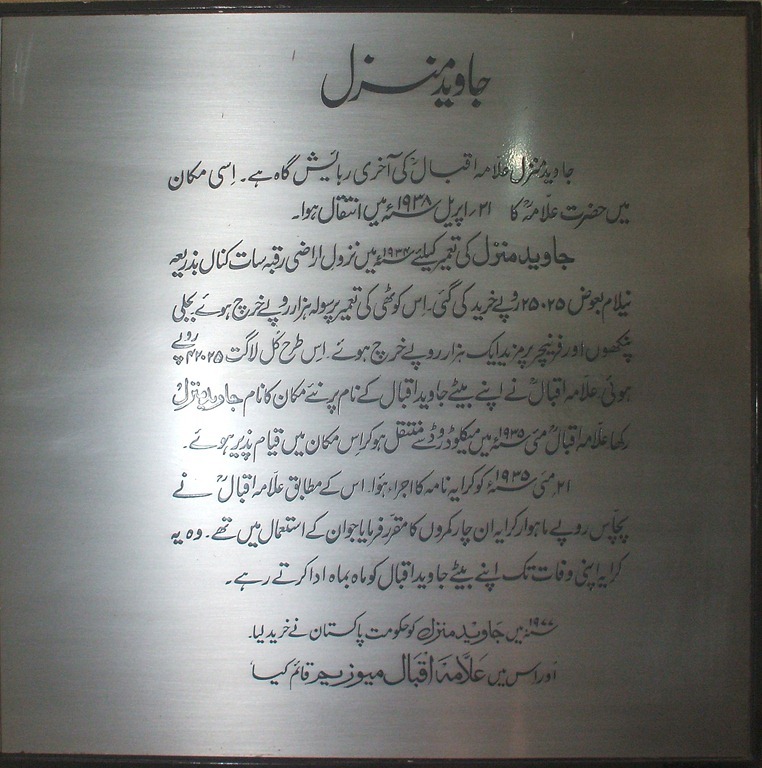 Today, we are going to Iqbal Museum (which was a shorter visit). 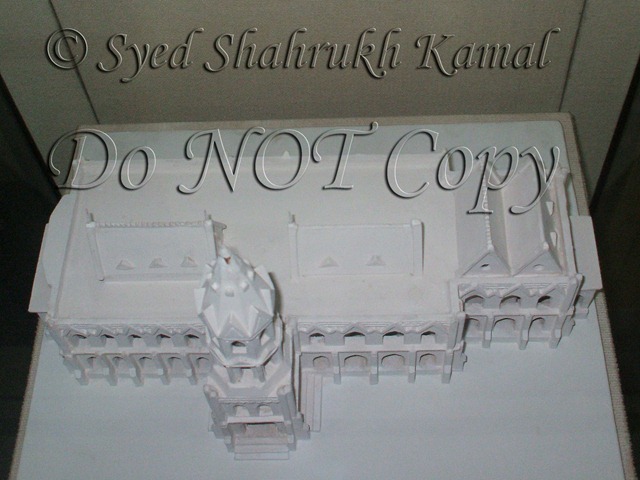 Then, we’ll go to the tombs of Mughal Emperors. 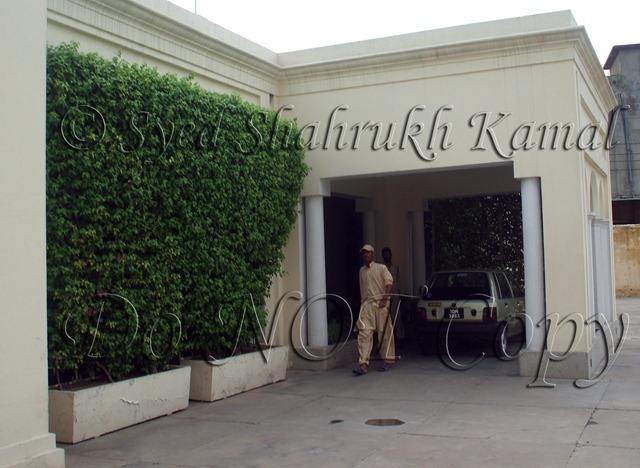 On the morning of 28th June, 2011, Tuesday, we went to Javed Manzil, first. 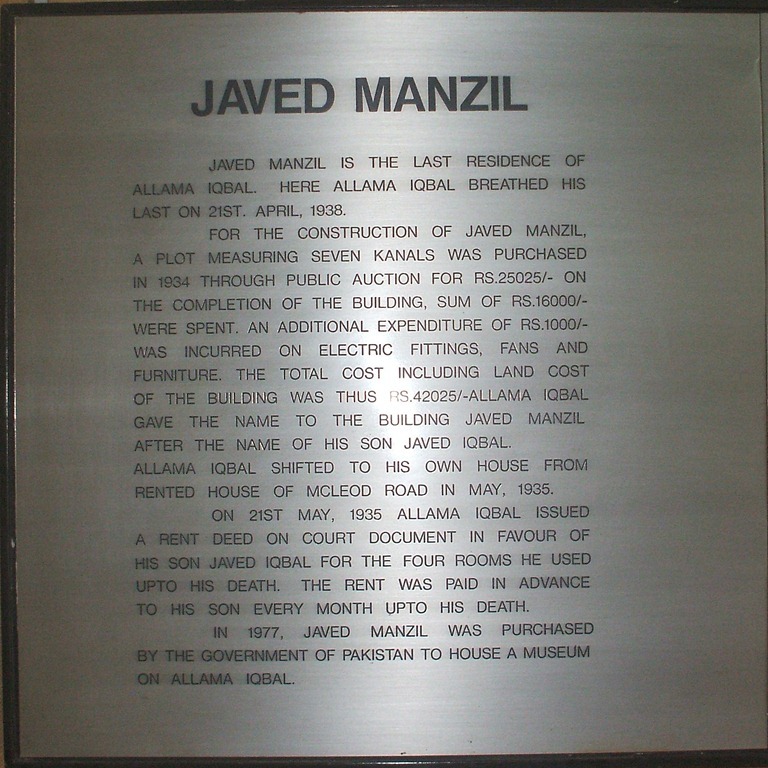 Javed Manzil was later made as Iqbal Museum by Government of Pakistan. 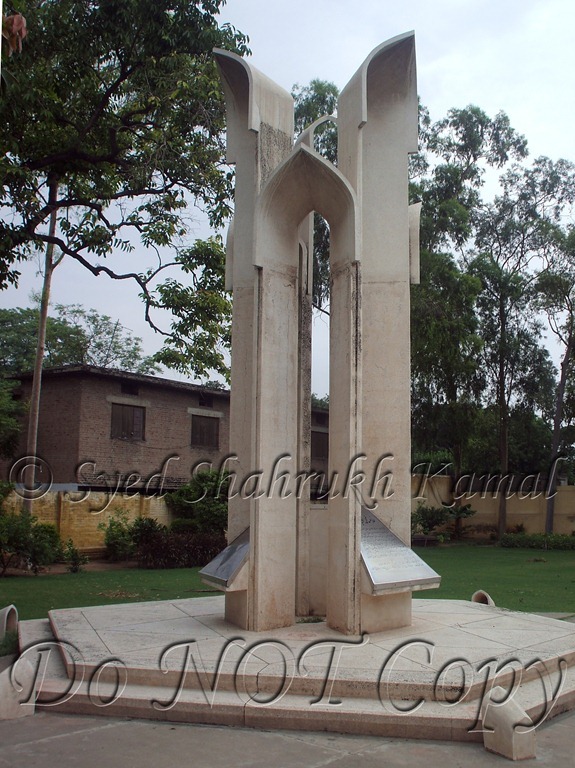 It is situated at Garhi Shaho, Lahore. 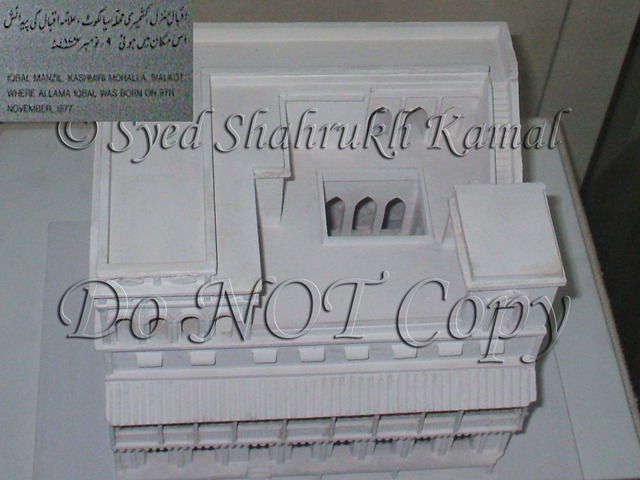 You can read the description in Urdu as well as in English (if you are not an Urdu reader) that’ll tell you how this building was made, how much amount of money was spent, and how it was used in the history. 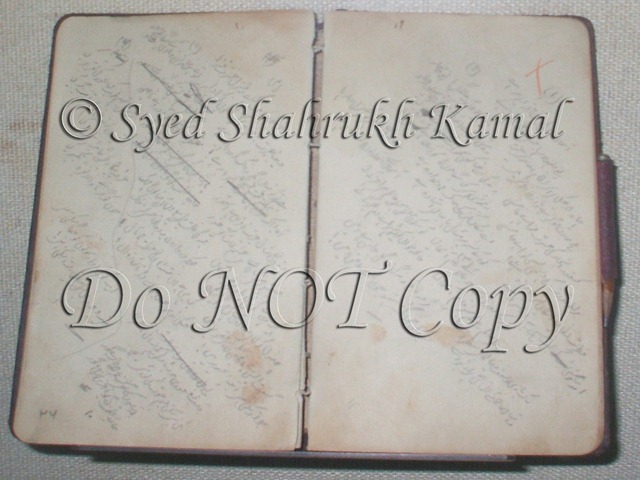 If you can not read properly, click the pictures to enlarge. 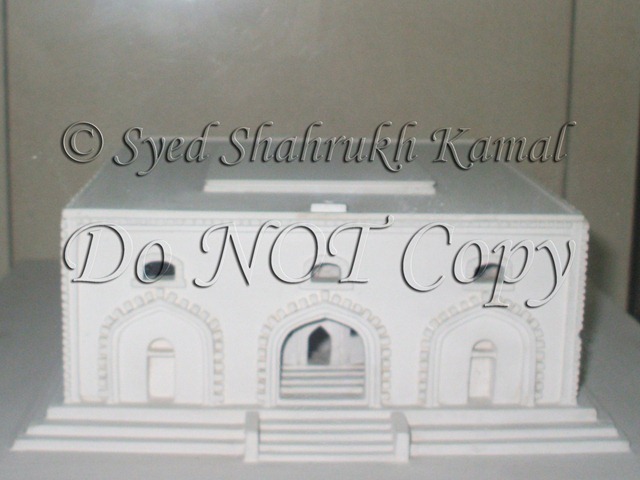 First of all, we should have an outer look of the building. 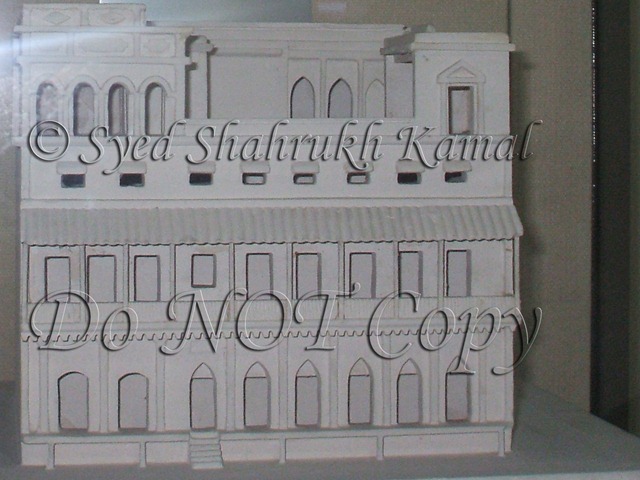 This was the front side. 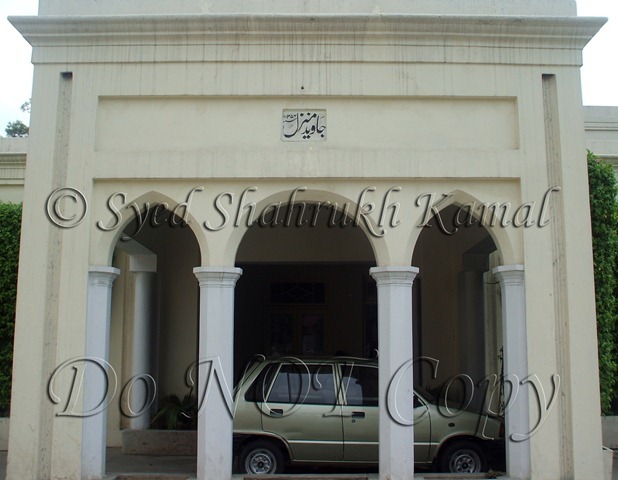 Below is the entrance that is on the left side of the building. And before entering the building, why shouldn’t we turn even left to this entrance? 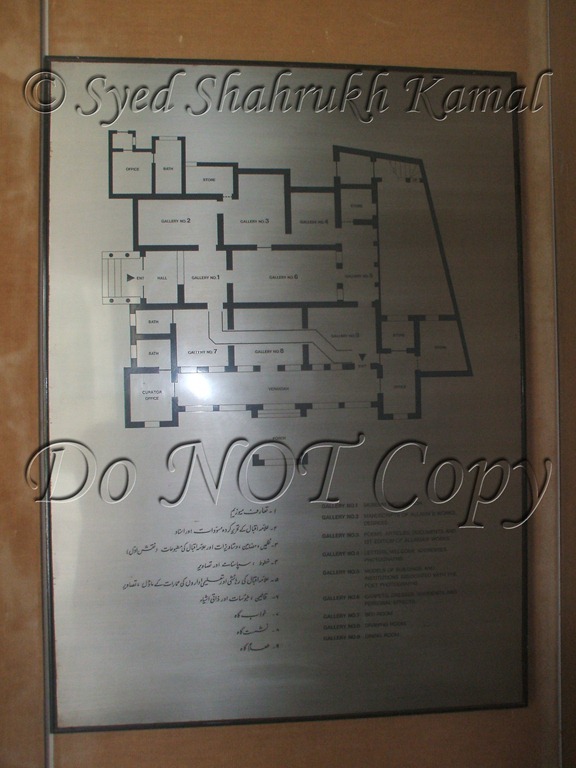 To read the description below, click the image below to enlarge. So, now, we are entering the building. Well, all the pictures pasted above were shot at the end of the tour. 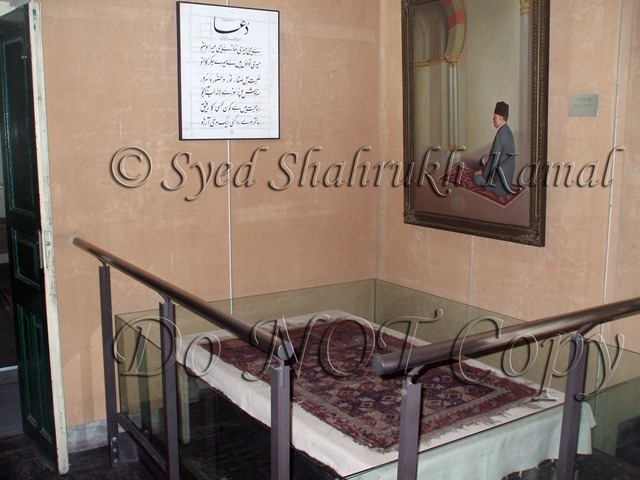 This was the praying carpet (Ja-e-Namaz) and Takht Posh of Allama Iqbal where he used to offer his five times prayer. 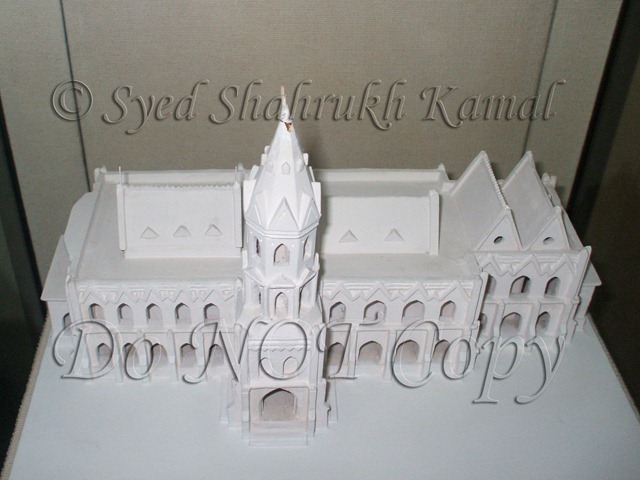 It is Gallery # 1. 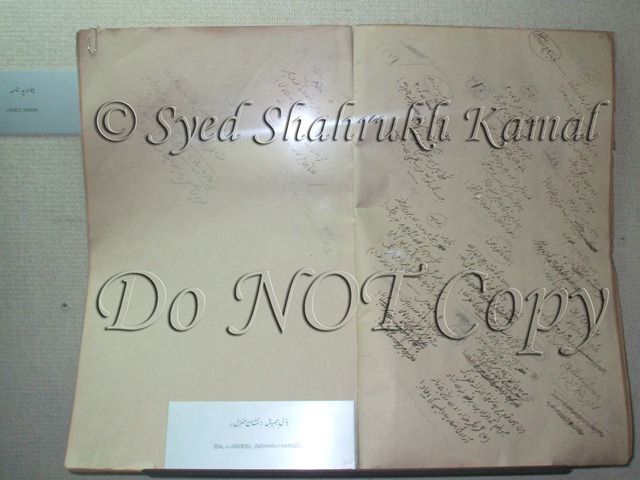 The prayer written there is the one he wrote in Masjid-e-Qurtaba. 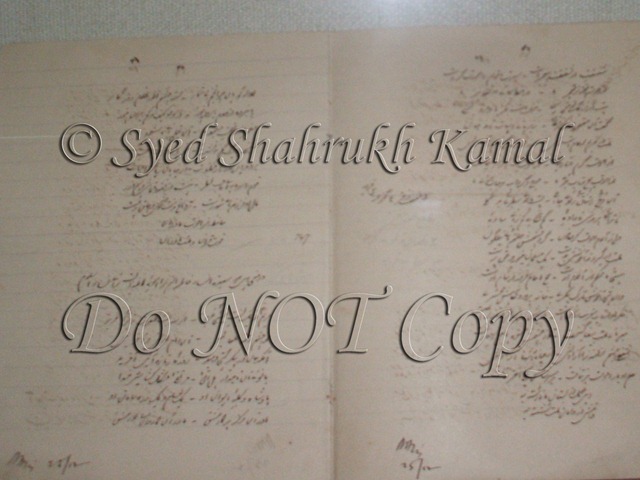 Below are some manuscripts of Allama Iqbal’s published and unpublished works. These are placed in Galleries # 2 and 3. 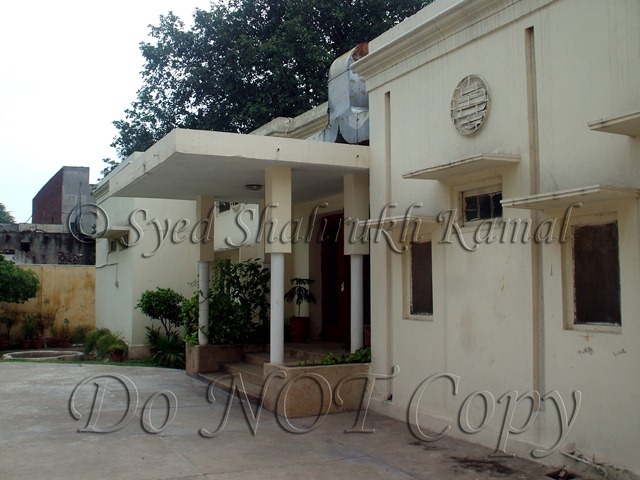 His house in Sialkot where he was born. 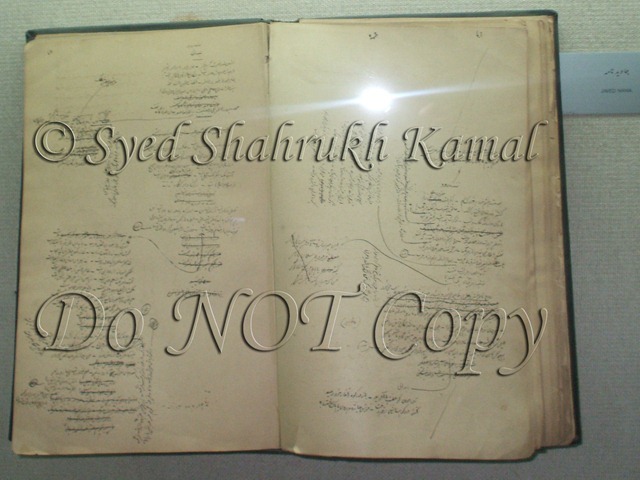 His school in Sialkot that is now called Govt. Murray College. Gallery # 5 contained his belongings like suits, coats, collars (in old days, collars were also used separately), cufflinks, ties, etc. Gallery # 7. 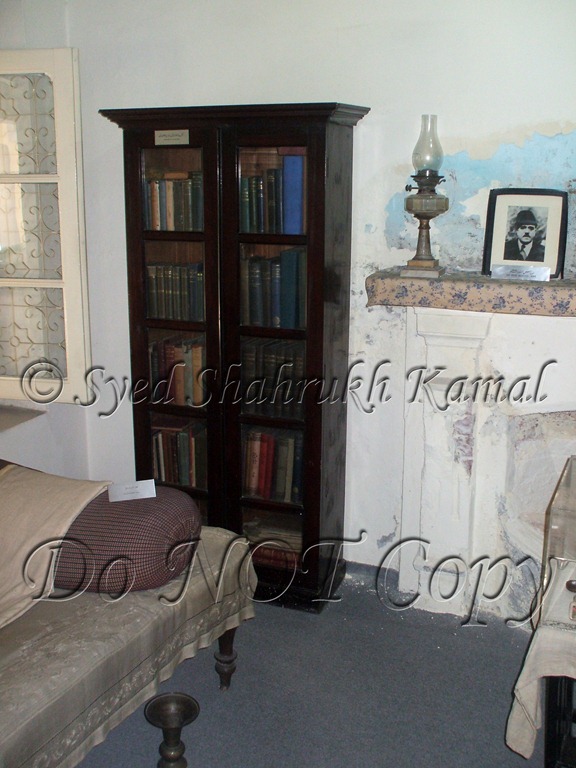 His bed room where he breathed his last, on Thursday, 21st April, 1938. 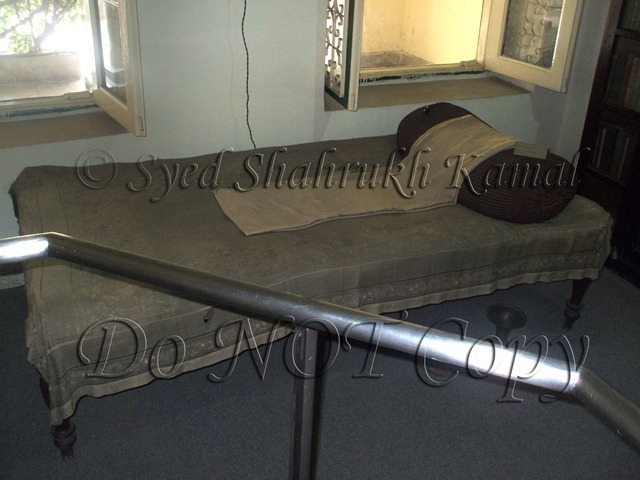 His bed, boots, books, medicines etc. are still preserved in the same manner as they were. 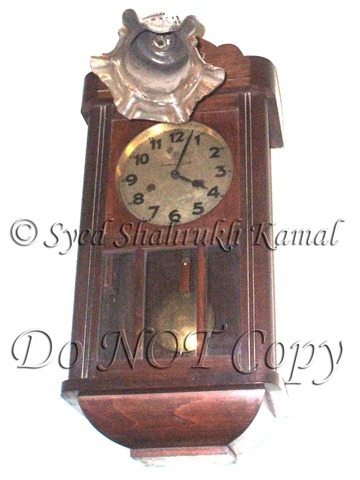 The clock is stopped and indicates the time of Allama Iqbal’s death. 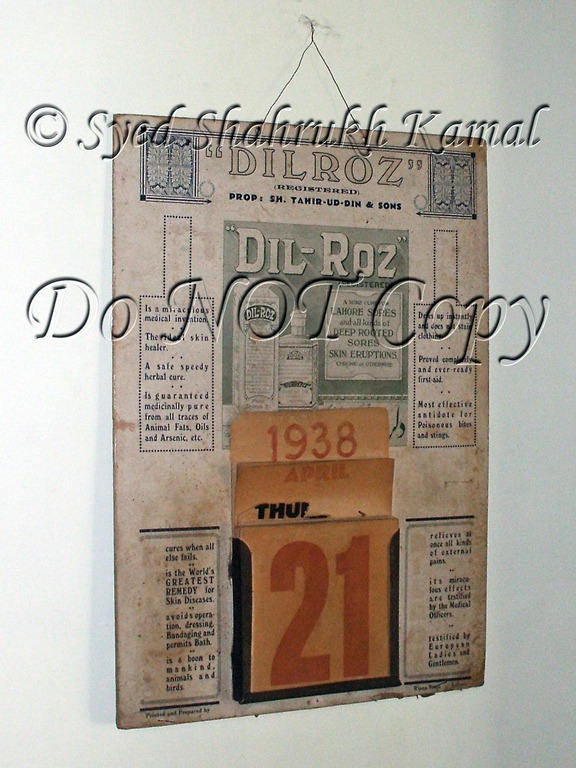 The Calendar below dates the death of Allama Iqbal. It was never changed ever since then. 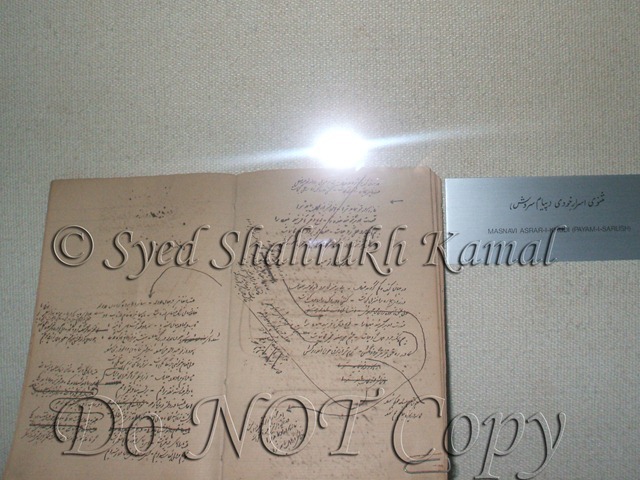 You can see the books and other belongings. 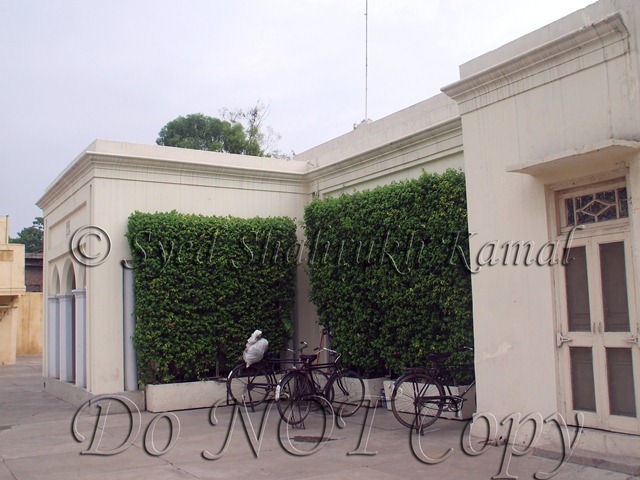 Gallery # 8 was the drawing room (guest room) right in front of the verandah and the front gate. 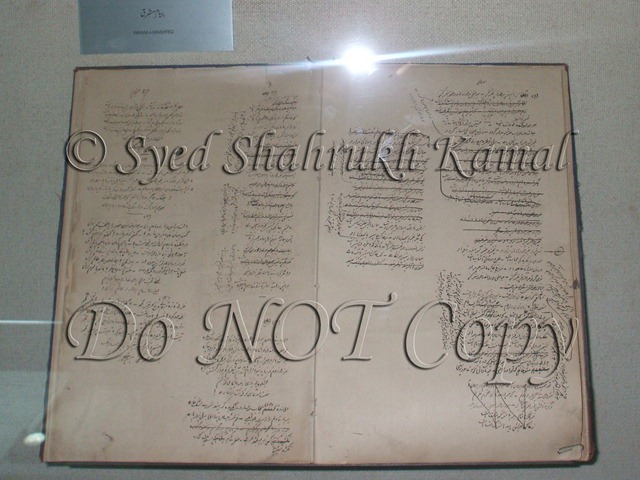 Quaid-e-Azam Muhammad Ali Jinnah also visited it, once, in the life of Iqbal. Gallery # 9 was the dinning room. 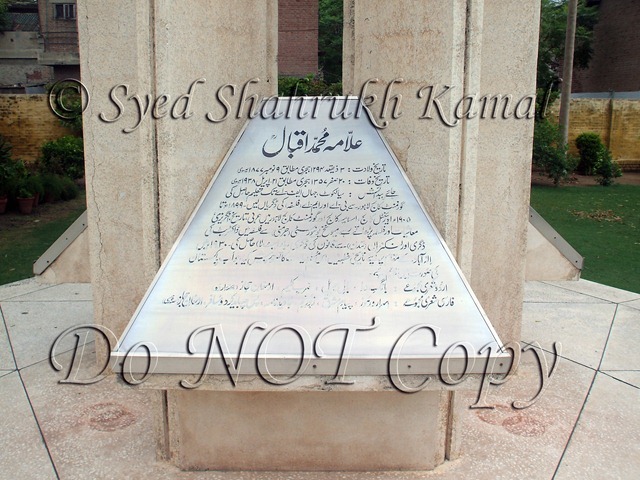 Assalam Sharouk Bhai. Thank you a lot. At least you are telling us a lot about what we did not know about that very famous poet. Allah tallah aap ko hamesha kamiab banaei ga. Ammen!